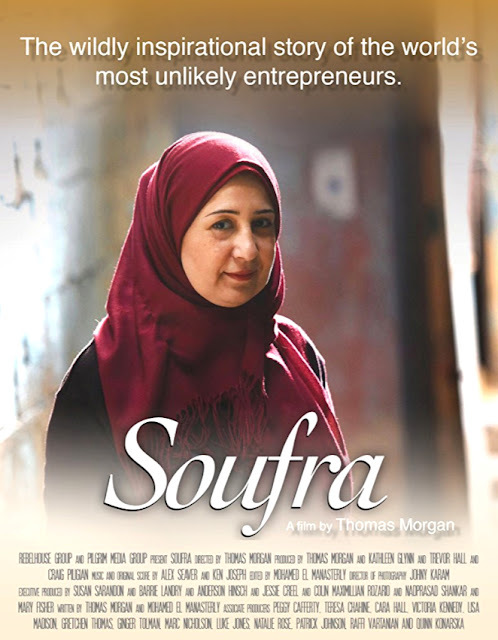 RETRO KIMMER'S BLOG: COMPOSER KEN JOSEPH'S AWARD WINNING DOCUMENTARY SOUFRA AT WSU! COMPOSER KEN JOSEPH'S AWARD WINNING DOCUMENTARY SOUFRA AT WSU! Detroit, MI (March 29, 2018) – Michigan native Ken Joseph has traveled a long road, through the Hollywood music industry, before securing a career as a film composer. Creating with fellow composer Alex Seaver (Juilliard trained front man for Pop/Electonic project Mako), Joseph’s recent work, the film “Soufra,” will be shown at his alma mater, Wayne State University where he received his degree in Jazz Studies and Contemporary Media. The film is part of the Freep Film Festival and will screen on April 13th at 5 pm. “Soufra” is an inspirational story about a generational refugee, Mariam Shaar, who has spent her entire life in the Burl El Barajneh refugee camp south of Beirut, Lebanon. The film follows Mariam, with a diverse team of fellow refugee women, as they set out to change their fate by launching a catering company, and then expanding its reach outside the camp with a food truck business. Together, they heal the wounds of war through the unifying power of food while breaking down barriers with Syrian, Iraqi, Palestinian and Lebanese women working side by side. This is a story of hope, grit, and passion. Ken Joseph was born and raised in the Detroit area and grew up emulating former Motown staff musicians and arrangers. Additional influences include Jazz legends Bill Evans, Oscar Peterson, and Herbie Hancock. Ken studied piano at The Center Of Creative Studies Conservatory and at the age of 12, he studied jazz piano at Wayne State University where he later received his music degree in Jazz Studies and Contemporary Media. His early classical education was in the orchestral inspirations of Debussy, and Ravel while training in the techniques of the Masters. Ken was educated in the classroom as well as “On the bandstand” while earning a place at music school. In addition to extensive composition classes at school, he was able to perform and study with composers, arrangers and performers that he admired in Detroit. They were part of the classic Motown sound. After relocating to Los Angeles, Ken has had the opportunity to score feature length films and documentaries (receiving the Gold Medal of Excellence at Park City Film Music Awards during the Sundance Film Festival). 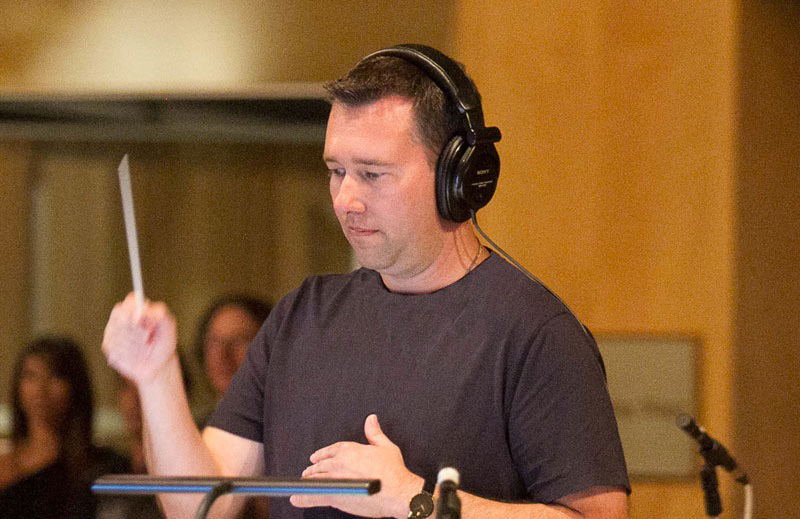 Ken is an alumnus of the prestigious ASCAP Film and Television scoring workshop. Directed by Michigan native and Central Michigan University graduate Thomas A. Morgan, the film was produced by another Michigan native, from Flint, Kathleen Glynn (Founded Dog Eat Dog Films; her projects have been the recipient of the Cannes Palme d’Or, Academy Award, and Primetime Emmy), as well as producer Trevor Hall (President Rebelhouse Group) and Executive Producer Susan Sarandon. “Soufra” is a Michigan premiere. Directed by Michigan native and Central Michigan University graduate Thomas A. Morgan it screens at the Wayne State University Welcom Center, 42 W. Warren Ave. in Detroit during the Freep Film Festival. 1 hour, 13 minutes. Tickets are $10 in advance online at https://tickets.freep.com/e/soufra/tickets, $12 at the door.